Never, put your banana in the refrigerator!!! This is interesting. After reading this, you'll never look at a banana in the same way again. Bananas contain three natural sugars - sucrose, fructose and glucose combined with fiber. A banana gives an instant, sustained and substantial boost of energy. Research has proven that just two bananas provide enough energy for a strenuous 90-minute workout. No wonder the banana is the number one fruit with the world's leading athletes. But energy isn't the only way a banana can help us keep fit. It can also help overcome or prevent a substantial number of illnesses and conditions, making it a must to add to our daily diet. Depression According to a recent survey undertaken by MIND amongst people suffering from depression, many felt much better after eating a banana. This is because bananas contain tryptophan, a type of protein that the body converts into serotonin, known to make you relax, improve your mood and generally make you feel happier. ? PMS Forget the pills - eat a banana. The vitamin B6 it contains regulates blood glucose levels, which can affect your mood. Anemia High in iron, bananas can stimulate the production of hemoglobin in the blood and so helps in cases of anemia. Blood Pressure This unique tropical fruit is extremely high in potassium yet low in salt, making it perfect to beat blood pressure. So much so, the US Food and Drug Administration has just allowed the banana industry to make official claims for the fruit's ability to reduce the risk of blood pressure and stroke. Brain Power 200 students at Twickenham (Middlesex) school were helped through their exams this year by eating bananas at breakfast, break, and lunch in a bid to boost their brain power. Research has shown that the potassium-packed fruit can assist learning by making pupils more alert. Constipation High in fiber, including bananas in the diet can help restore normal bowel action, helping to overcome the problem without resorting to laxatives. Hangovers One of the quickest ways of curing a hangover is to make a banana milkshake, sweetened with honey. The banana calms the stomach and, with the help of the honey, builds up depleted blood sugar levels, while the milk soothes and re-hydrates your system. Heartburn Bananas have a natural antacid effect in the body, so if you suffer from heartburn, try eating a banana for soothing relief. Morning Sickness Snacking on bananas between meals helps to keep blood sugar levels up and avoid morning sickness. 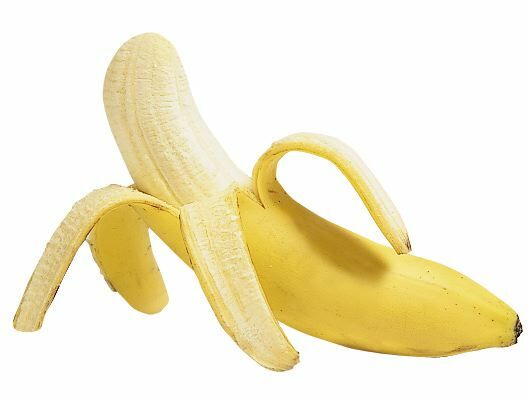 Mosquito bites Before searching for the insect bite cream, try rubbing the affected area with the inside of a banana skin. Many people find it amazingly successful at reducing swelling and irritation. Nerves Bananas are high in B vitamins that help calm the nervous system. Overweight and at work? Studies at the Institute of Psychology in Austria found pressure at work leads to gorging on comfort food like chocolate and crisps Looking at 5,000 hospital patients, researchers found the most obese were more likely to be in high-pressure jobs. The report concluded that, to avoid panic-induced food cravings, we need ed to control our blood sugar levels by snacking on high carbohydrate foods every two hours to keep levels steady. Ulcers The banana is used as the dietary food against intestinal disorders because of its soft texture and smoothness. It is the only raw fruit that can be eaten without distress in over-chronicler cases. It also neutralizes over-acidity and reduces irritation by coating the lining of the stomach. Temperature control Many other cultures see bananas as a "cooling" fruit that can lower both the physical and emotional temperature of expectant mothers. In Thailand , for example, pregnant women eat bananas to ensure their baby is born with a cool temperature. Seasonal Affective Disorder (SAD) Bananas can help SAD sufferers because they contain the natural mood enhancer tryptophan. Smoking &Tobacco Use Bananas can also help people trying to give up smoking. The B6, B12 they contain, as well as the potassium and magnesium found in them, help the body recover from the effects of nicotine withdrawal. Stress Potassium is a vital mineral, which helps normalize the heartbeat, sends oxygen to the brain and regulates your body's water balance. When we are stressed, our metabolic rate rises, thereby reducing our potassium levels. These can be rebalanced with the help of a high- potassium banana snack. Strokes According to research in The New England Journal of Medicine, eating bananas as part of a regular diet can cut the risk of death by strokes by as much as 40%! Warts Those keen on natural alternatives swear that if you want to kill off a wart, take a piece of banana skin and place it on the wart, with the yellow side out. Carefully hold the skin in place with a plaster or surgical tape! So, a banana really is a natural remedy for many ills. When you compare it to an apple, it has four times the protein, twice the carbohydrate, three times the phosphorus, five times the vitamin A and iron, and twice the other vitamins and minerals. It is also rich in potassium and is one of the best value foods around So maybe its time to change that well-known phrase so that we say, "A banana a day keeps the doctor away!"